In November 2011, I travelled to Bangladesh to visit my friend Zubayer and his family, and to celebrate Eid al-Adha (festival of sacrifice). You can see the memories here. Never before have I encountered such a hospitable people as the Bangladeshi. I travelled to Bangladesh with no guidebook, no plans and no expectations. And my conclusion is very clear: The Bangladeshi people put hospitality before their own wallets. Most of the time I lived with my friends family, and they where extremely hospitable, and made me feel as part of their family from day one. At first I thought, perhaps this extreme hospitality where due to the fact that I stayed with a friends family. But I soon learnt it is general for the Bangladeshi people. So many times I have been invited into random peoples houses on the street, to come and live with them for a few days. People that I have only just met have bought me anything ranging from coconuts, to coffee or tea. Random people I have met on the bus, gave me their phone numbers and told me to call them if I needed any kind of help. Thank you for the hospitality Bangladesh, and hope to see you again soon! The day before Yesterday after 3+ wonderful weeks in Bangladesh it was time to say farewell. I was not prepared for what emotional roller coaster this was going to be. After spending 3 weeks with the Bangladeshi family I was already regarded as a family member, and when I left, some of the woman and children where crying. Boy was that tough… To be honest I was ready to give up. I am getting tired of saying goodbye – this is the tough part of traveling. And when there is crying involved… it does not get any less difficult. I took the bus from Dhaka to Kolkata, as I enjoy entering a country by land. It is a nice feeling standing between two physical borders, and seeing the culture change immediately. Airports are a bit generic in that sense I feel. The bus journey was a grueling 16 hours long, lots of bureaucracy involved at the border, and I developed some nasty stomach problems on the way (some bad tea I think). Now when I arrived to India in anything but optimal condition, both emotionally and physically I was thinking – to hell with it all. Now what always happens when I reach here, didn’t fail to happen again. This is my 6th visit to India, and the moment I stepped out of the bus into the streets of Kolkata I was filled with joy. I simply love India. It is such a crazy place, full of colors and life. I truly felt alive when I stepped out of the bus (5 minutes later I was in the toilet, that was a different version of feeling alive, but I will keep that private). I took myself a 15 hours nap, and now the system is feeling much better, and I am now ready to go exploring Kolkata. It is a very interesting city, and the part I am staying in has a decaying colonial architecture (Kolkota used to be the capital of India when the British where still around). So here is me saying “see you again soon Bangladesh, and hello again wonderful India”. Since I was 18 I have traveled the world extensively, and it has mostly been very good experiences with very hospitable people indeed. However, I feel like the hospitality of Bangladesh deserves a special mentioning – therefore I decided to dedicate it its own post. Never have I before encountered such an hospitable people as the Bangladeshi. I traveled to Bangladesh with no guidebook, no plans and no expectations. And my conslusion is very clear: The Bangladeshi people put hospitality before their own wallets. Not many westerns goes to Bangladesh in the first place, so everyone here is extremely curious about you. They want to talk to you, to feel your skin, to ask you if you are married, if you enjoy the food, etc etc. So naturally you get a lot of attention (as in many other Asian countries). But I have to say that this is the first country where I have been asked for signatures by people 🙂 I feel like a superstar here. Most of the time I have lived with my friends family here, and they have been extremely hospitable, and made me feel as part of their family from day one. At first I thought, perhaps this extreme hospitality is due to the fact that I stayed with a friends family. But I soon learned it is general for the Bangladeshi people. So many times I have been invited into random peoples houses on the street, to come and live with them for a few days. People that I have only just met have bought me anything ranging from coconuts, to coffee or tea. Random people I have met on the bus, have given me their phone numbers and told me to call them if I need any kind of help. I spend 5 days on a beautiful Island next to the Burma border. Upon my arrival I met an refugee from Burma, and stayed in his guesthouse. He was very keen to show me around the Island, and I asked him how much money he wanted for that? He replied very simply, no money sir – I just want a chance to practise my English. I was overwhelmed. Yesterday I was roaming around on the streets of old Dhaka photographing. I ended up in an area where there is a lot of steel manufacturers. And randomly one of them invited me in to their shop, showed me around, and treated me to tea and biscuits. I have been in Bangladesh for 3 weeks now, but haven’t had much of a chance to post some updates from here (haven’t had access to internet). So this post is a little outdated, but anyhow just wanted to share with you guys. So first of all yes a delayed blessed Eid. From 6th to 9th of November we celebrated Eid al-Adha (festival of sacrifice). This is where the family purchases an animal (typical a bull or a goat) and sacrifices it by halal slaughter. It was a very special experience. We went shopping for the bull (lots of bargaining), we walked it for 6 km to take it home, we fed it for some days, we went to the mosque for prayers, and then finally the sacrifice (this is the abridged version of 3 days events :). Now the sacrifice is NOT for the fainthearted – this is done the halal way and it can be quite gruesome to watch. But there is such a special feeling in the air – a special energy. Some cows you feel have come to terms with their destiny and are very calm, and others are very aggressive. After the prayers at the mosque a bull came crashing through the crowd and we had to jump for our lives. This was one bull that was not going to go down easy. After the sacrifice the bull was slaughtered, and divided into seven portions – for the different family members. From each portion the individual family member would give one third to the poor, and one third to friends and family, and the last part was to keep. In the following days we ate sooo much beef. Deliciously cooked by experienced Bangladeshi women. I cannot describe the taste – it was simply amazing. And probably the freshest beef I will ever eat. Hours after the sacrifice we had our first meal. One thing that I enjoyed in particular, was the fact everything of the bull was consumed. The beef itself, the brain (sooo tasty! ), the tongue, the spare parts, the bone marrow. Everything was used – nothing was wasted. Eid was a unique experience, and I feel very happy to have had the chance to partake in it. Not many people get this opportunity, and I really appreciate it. As I mentioned, there is such a special energy in the air, and it is really an exciting thing to see the closeness of the family and the community during these days. I think you can probably compare it to the excitement that many of the Christians feel during Christmas, spending time with their family, cooking traditional food etc (and the presents for the children hehehe). Just got a chance to use the internet shortly, so just wanted to let you all know I am alive, healthy and enjoying Bangladesh. Have lots of stuff to tell, but the quick summary is: Bangladesh extremely hospitable, great food, and Eid a very special experience. Tomorrow I leave Dhaka to go to Cox’s Bazaar in the South (the worlds longest sandbeach – 120 km), and after that I will go to an Island called “Saint Martin”. Two amazing months in Nepal. Two very long and great treks in the Everest and Annapurna regions. Countless memories and a lot of really great new friends. Now I am off to the airport to fly to Dhaka, Bangladesh, where I will spend a month. 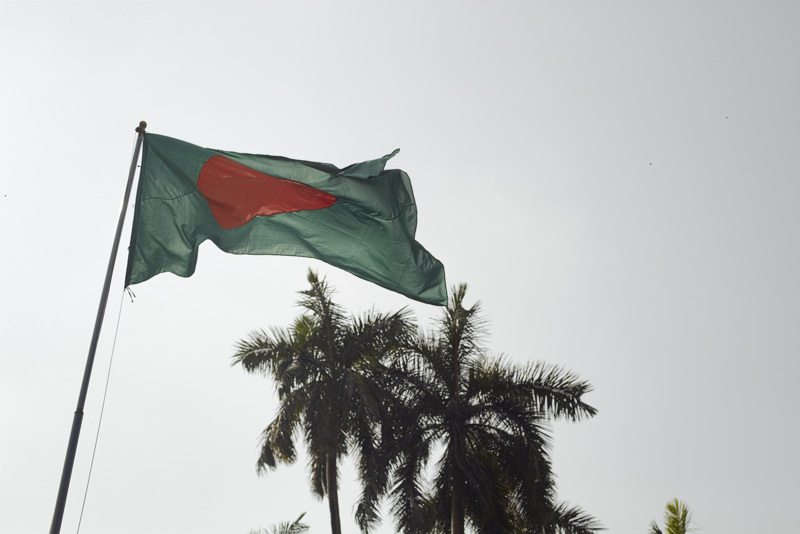 I have no expectations to Bangladesh – I know nothing about it. No plans. All I know is that my friend Zubayer and I are going to purchase a cow tomorrow, and I know that Sunday is going to be rather bad news for the cow… Other than that no plans. Last night a massive earthquake hit nepal, and Bangladesh. I don’t have access to a very fast internet connection or a lot of information from here, so you guys probally know more from the news than I do. I know that there has been casulties in the bigger cities, some bridges here in the himalyas has collapsed and the pass up to everest has been temoporarily closed. It was a scary feeling having a whole mountain shake underneeth you, and last night I slept in my clothes – I think everyone did – ready to run out of something happened again. Anyhow just wanted to let you know that I am safe and healthy. This is really a reminder of how tiny we are compared to nature. Please guys do what you love to do, and spend the time with the ones you love – you never know how much time you have left on this planet. Internet is very lousy in this part so not sure If I will have the possibility to post further updates.